Hurray, they did it! 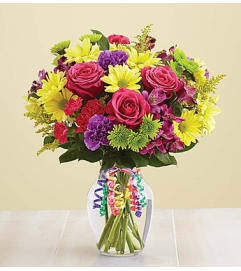 Let this cheerful bouquet show them just how proud you are. 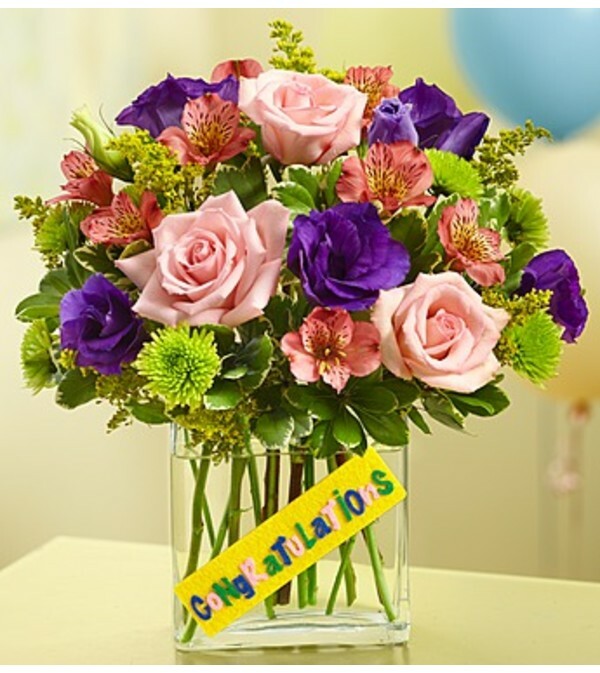 Our florists gather beautiful blooms in shades of pink, purple and green for a bouquet worthy of their achievement. 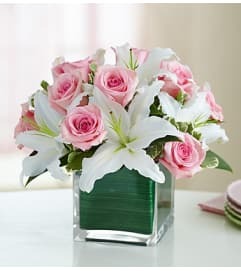 Set in a keepsake "Congratulations" vase, it's a truly original way to celebrate any of life's victories, big or small!